Special Delivery: Caffeine to Face » Good Morning, Seattle! Last January, I made several resolutions – most of which I don’t remember. The one I DO remember was my resolution to be less wasteful. As a person who frequents coffee shops, I was tossing out multiple paper cups per day. At work, we have paper plates and plastic(corn)ware that are often chosen over the actual dishes. I felt like a horrible person when I realized how disgustingly wasteful I was being just from the act of eating and drinking. I immediately went to Amazon and searched for the coffee travel mug with the very best reviews. 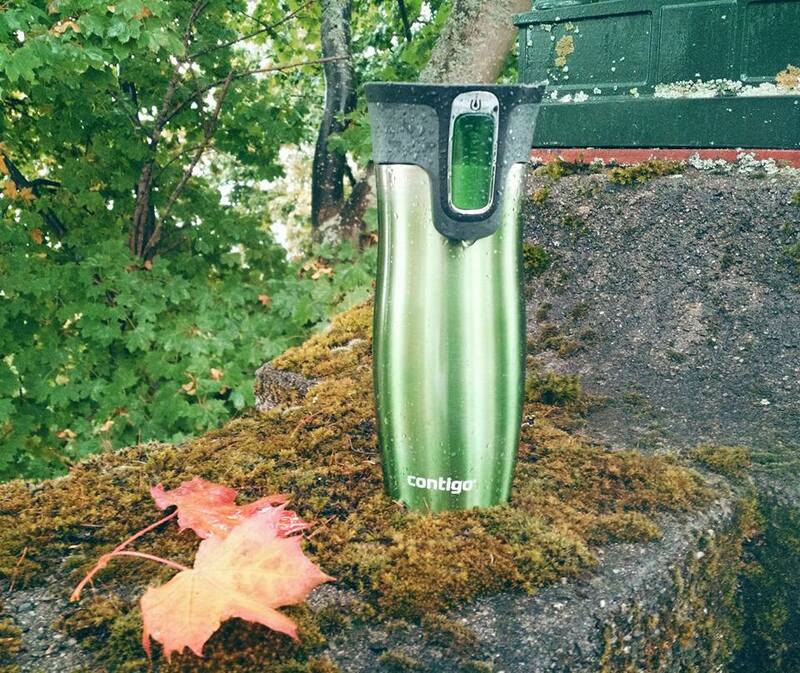 According to Amazon shoppers, Contigo was the best by far! I ordered it immediately. Momentarily I considered ordering a replacement – but that would be counterintuitive to what I was trying to achieve. No waisting! So, begrudgingly, I kept my battered mug. And I’m so glad I did! I’ve dropped this thing countless times – it has so many scars – but it still functions perfectly. And now it has all this aesthetic character from the rough and tumble life it’s lead. On days I accidentally forget to bring it on my walk, I have a mini guilt-ridden anxiety attack, and will run back home to get it. I estimate that there are about 200 paper cups I HAVE NOT thrown away since I purchased my beloved Contigo. Go, me! I wish I could report that I’ve done just as well on the paper plates and corn-ware, but alas, I’m still guilty of wasting. That’s the next goal I have my eye on!